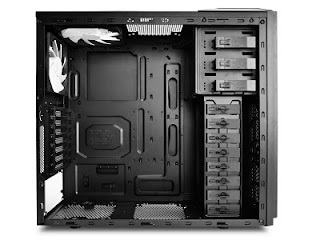 El Monte, CA – September 16, 2011 – NZXT, a company built on realizing the dreams of gamers worldwide, is proud to announce the Tempest 210. Unique to this airflow-maximizing case is a strategically implemented, massive mesh design that brings in a constant stream of fresh air for improved cooling. NZXT includes one 120mm and one 140mm fan with an overall cooling potential of up to 8 fans, along with an adjustable 120mm side fan. Installation is a breeze with screw-less 5.5” and 3.5” bays and simplified cable management making upgrades a pain-free process. Tempest 210 also gives enthusiasts high speed data transfer capabilities with USB 3.0.